USA: “Celebrate Menafee for courage; Yale for good sense, and America for hope”! A 2016 story from America, though late, is very worth sharing especially with it ending in positive ways all around. 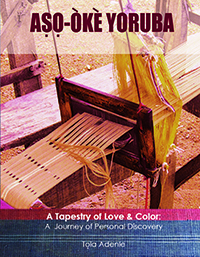 It’s a retold story for which I must thank one of this blog’s active participants, Mr. Tao, who sent me the announcement of the rehire of Menafee which happened last year by his former employer, Yale University where he washed dishes for a living. I read the story and also saw it on television news in the States at the time but did not share it. Then Tao sent me the announcement yesterday and I quickly sent my thanks and the update about the renaming of the college which happened just last week. Thanks, again, Tao. The title is from your succinct but very apt take of the story. Thanks for that, too! In June 2016, Mr. Menafee, a dishwasher at Ivy League Yale University, broke an expensive stained glass window – deliberately as he admitted in court – that depicted two slaves carrying cotton, the back-breaking job that slaves did from sun up to sun down during slavery. 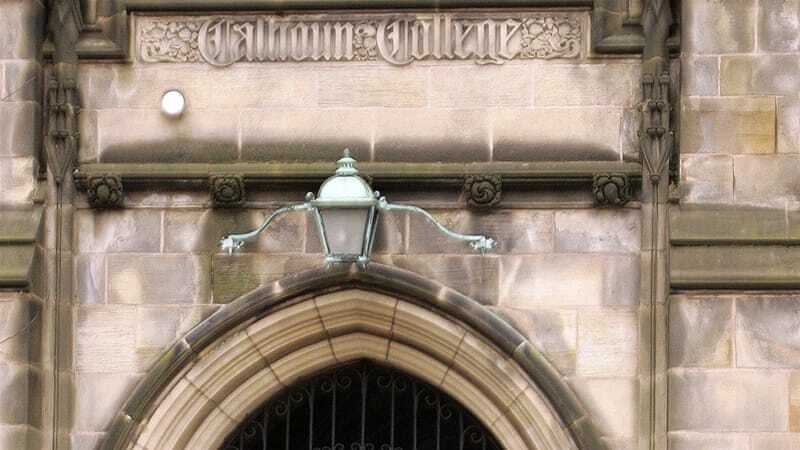 The stained-glass window was at Calhoun Hall of a college named for former Vice President John C. Calhoun, a rabid racist and defender of the horrible practice of slavery. Menafee got country-wide support for this act of defiance that shows great courage as well as a lot of publicity, including a GoFundMe that raised thousands of dollar. Yale decided not to go ahead with a case of “felony charge of criminal mischief and a misdemeanor reckless endangerment”. After expressing in a released statement his ”deep remorse”, Menafee was reinstated back as a Yale employee who was allowed “to return to a position in a different setting” after serving a five-week unpaid suspension going back to his June 2016 resignation. Before Menafee dared and broke the stained-glass window with his broom stick, there had been years of protests, including as recently as last week (second week of February) by student activists asking that Calhoun was a name that needed to be removed. It finally happened last week. “The US university decided to rename Calhoun College after Grace Hopper College, a female Yale alumnus who invented a pioneering computer programming language and became a Navy rear admiral. Yale said it was the final decision in a controversy over former US Vice President John C Calhoun’s legacy that had simmered for years and boiled over with campus protests in 2015. Four people were arrested in a peaceful protest as recent as Friday after they blocked street traffic. Peter Salovey, Yale president, said the name change was not a decision “we take lightly” but that Calhoun’s legacy as “a national leader who passionately promoted slavery as a ‘positive good’ fundamentally conflicts with Yale’s mission and values”. Salovey held a different opinion last year, when he said the name would be kept, despite protests. University officials also said that the symbols of Calhoun on campus will not be removed, such as engravings and a statue atop the landmark Harkness Tower. Chris Rabb, a 1992 Yale graduate, told the AFP news agency that just changing the name from a “bad person to a good person” is not enough. Rabb has spoken out against the name since his own days living at Calhoun College. He successfully lobbied for the removal of a stained glass window depicting a black man in shackles kneeling before Calhoun. “I’m underwhelmed,” said Rabb, an educator and state representative in Pennsylvania who cofounded an alumni network for black Yale graduates. Calhoun, a member of the Yale class of 1804, was a senator from South Carolina and a leading voice for those opposed to abolishing slavery. He served as US vice president from 1825 to 1832. The decision to name one of Yale’s 12 colleges after him in 1931- and decorate it with depictions celebrating plantation life – was controversial at the time and triggered demonstrations by black students. A tick-tock from one of the student activists who fought for the name change. This weekend, students of color officially changed the name of Calhoun College at Yale University to Grace Hopper College, an early and visionary computer programer. Yes, you read that sentence correctly. To understand it, you have to know how hard we, the students of color at Yale, fought to make this a reality. How many nights we stayed up until 3 a.m. doing jobs that university administrators were paid to do. How we had meetings with professors and graduate students, interviews with The View and the New York Times, organized hundreds for protests, and made curriculums for teach-ins. You have to know how, for almost two academic calendar years, John C. Calhoun consumed us, our energy, our minds, our black and brown bodies, for the last time. Removing Calhoun’s name obscures the legacy of slavery rather than addressing it… Retaining the name forces us to learn anew and confront one of the most disturbing aspects of Yale’s and our nation’s past… To ensure that our community acquires a deeper, more consistent, and more explicit understanding of our institution’s past, Yale will begin an interactive history project, starting with an examination of the legacy of John C. Calhoun. It was moments before a weekly meeting with my dean and other freshman counselors that I read this email and burst into tears. I cried because it felt like money and the opinions of a few old white men mattered more than years of student complaints over the symbols of our ancestors’ dehumanization and enslavement. For an entire school year, my life revolved around student activism, and we had won almost nothing but an email feigning interest in confronting a racist legacy. Members of the Black community at Yale and their allies had a blackout in solidarity with student activism at Mizzou. President Salovey held a town hall meeting for students to express their concerns over naming and renaming—as if we hadn’t been doing just that all year, as if students of color hadn’t been doing just that for decades. And so we attended the town hall en masse but with duct tape over our mouths. The administration wasn’t listening anyway. FOR AN ENTIRE SCHOOL YEAR, MY LIFE REVOLVED AROUND STUDENT ACTIVISM AND WE HAD WON ALMOST NOTHING BUT AN EMAIL FEIGNING INTEREST. During a town hall discussion, students tossed dollar bills as a symbol of the ostensible impact of money on decision-making. Corey Menafee, New Haven resident and dining hall worker, shattered a stained-glass window in Calhoun College with a broomstick. The scene depicted in the window was one of enslaved black people carrying bales of cotton on their heads. “I just said, ‘that thing’s coming down today,'” he told the New Have Independent. “I put myself in a position to do it, and I did it.” His visceral reaction to working in that space is what many students of color at Yale felt walking into that space. It reignited our resolve to get the name formally changed. TO MANY IT WAS A REDISTRIBUTION OF POWER AWAY FROM THE YALE CORPORATION AND TOWARDS THOSE ON THE GROUND. TO ME, IT WAS SALT ON THE WOUND. A committee was formed to “establish principles on renaming” and to apply these principles to Calhoun College. The committee was made up of alumni, students, staff, and faculty. After countless protests, town halls, op-eds, polls, and interviews … another committee. To many it was a redistribution of power away from the Yale corporation and towards those on the ground. To me, it was salt on the wound. Hadn’t we provided the recommendations? Hadn’t we done the research? What could this committee possible say that we hadn’t? “Today I write to announce that the name of Calhoun College will be changed,” President Salovey wrote in an email to the campus. We were warned, we were given an explanation, nevertheless, we persisted. If you read a narrative that gives credit to Yale, its corporation, or its president, know that is not the full story. From the first protest over 20 years ago to now, Yale had countless opportunities to realize that inclusion is about more than inviting talented students, staff, and faculty of color to your institution, but also about making that space a home for them. And so I would like to thank the students who have championed for and brought Grace Hopper College to fruition. I would like to thank the professors who stood by us when we were called coddled and whiny. I would like to thank publications that elevated our voices. I would like to thank every ally, from students at other colleges to Janelle Monae, who echoed our concerns and reminded us that “We out here. We been here. We ain’t leavin’. We are loved.” This recent victory aside, it’s a reminder that feels more necessary than ever. This is another archival treasure from your stable to mine. It signifies how inner conviction can make anybody who has phobia for slavery ready to either “live free or die”. It also emphasizes how history can be tapped to re-engineer the present and arrange good livability for tomorrow. I wish I could write books on this epic achievement the same way I had wished when Ghanaian Ivy University pulled down (racist) Gandhi’s statue down within their campus. Classic! The ideological fights need modern free world renaissance more than before. You have no need to entertain doubts about your literary capability; I never have, using your contributions here and from other forums on which we’ve both participated as guide. This particular contribution is yet ANOTHER pointer: it’s brief, yet touches the important points that need to be made … and best of all, shows depth in quite elegant language! Don’t delay a year longer! Just start with your thoughts flowing out as you think them; the rest always takes care of itself. Now, I wish I COULD DO MORE THAN GIVE POINTERS! Now, as for the Maafee/Yale story, what a heartening one; as revolutionary as Rosa Parks.